Real-life cars, realistic graphics and car physics, and a wide variety of unlockable vehicles, tracks, parts, and the like are all well and good. But some of us like our racing games to be as bare-bones as possible – no frills, no bells and whistles, just addictive arcade fun that’s simple enough for anyone to pick up, even those who don’t ordinarily play mobile games. Donuts Drift is a new game from Voodoo, and it’s out on Android and iOS – the company is also known for titles such as Ball’s Journey (which we also featured), Blast Valley, Color Road, and more, and their specialty, as you can see, is casual arcade gaming. In this title, your goal is to go as far as possible while creating donuts by drifting to the left or the right as needed. You can upgrade your car’s stats to make it last longer during these runs, but that’s not the only reason why you won’t be alone in this game – you can also pick up boosts to your fuel, your point totals, and more! This is not an easy game to play, despite the back-to-basics monochrome graphics and gameplay. But isn’t that why a lot of games in this vein are so addictive? 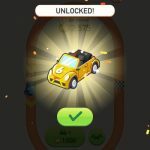 Indeed, it could be quite frustrating at first, even when trying to create your first actual, recognized donut, but with the help of these Donuts Drift tips and tricks, we hope to help you make your runs longer as you earn more money for upgrades and level up faster. When you think of cars performing donuts, you usually think of the vehicles going around in near-perfect to perfect circles, with a single button controlling everything when it comes to games with such a mechanic. In Donuts Drift, the term is used rather loosely. It isn’t enough that you hit the left or right button in such a way that your car forms a perfect circle. You need to perform your donuts within the large circle with dotted lines, without even crossing on the dotted lines themselves, or going outside. If your car hits the smaller, solid-colored circle inside, which doubles as a timer of sorts for your donut (it needs to turn completely gray in order for the donut to count), that could throw you off your trajectory, and you’re better off moving to the next circle to try another drift. The controls are very simple – tap left to drift left, tap right to drift right. But just a word of warning before you proceed any further – this is not an easy game. Finding a good rhythm is not easy in such a game, as your car needs to be angling in the right direction, while you time your drift in such a way that you circle right around the timer to get a perfect donut. More often than not, you will end up with close calls where you’re able to get your car drifting in a circular motion, only for you to hit the small circle/timer or one of the dotted lines, causing the small circle to turn 100 percent black just when it was almost completely gray. Don’t get discouraged by those close calls, and keep trying – regardless of how far you go, you’ll likely earn some money, and even if you don’t, you’ll get experience points based on the distance your car traveled, allowing you to unlock a new car for each time you level up. Although the cars look slightly different (though it may be hard to tell due to the monochrome design) each time you unlock a new one after leveling up, there really doesn’t appear to be much of a difference aside from the slight aesthetic changes. Then again, new cars with improved stats and other distinguishing features may be too much to expect from a casual game like Donuts Drift, and these games are all about, or mostly about skill, anyway – in the end, it’s on you, and you have no excuses for failing due to a car that isn’t quite capable of hurdling a certain challenge due to its stat limitations. On the other hand, you do have control over the stats of your car, as we shall be explaining in the very next tip. 4. What Upgrades Should You Be Prioritizing? Like in Voodoo’s other casual game that we covered, Ball’s Journey, there are four upgradable stats for your cars, and we should repeat once again that the cars appear to be the same in terms of base performance, regardless of which one you use. You can upgrade Fuel Tank, Fuel Loss, Rank Bonus, and Offline Bonus, and we shall be discussing these four stats below, while also suggesting how you should prioritize them when playing the game. Fuel Tank refers to the size of your tank, meaning how much gas you can hold; this, together with Fuel Loss, determines how far your car can go during each run. Fuel Loss, naturally, refers to the speed in which your car guzzles gas, so if you’ve got a well upgraded Fuel Tank, but not much upgrades spent toward Fuel Loss, you will run out of gas faster than you should. Rank Bonus determines the amount of bonus cash you can earn for leveling up, and Offline Bonus refers to the amount of cash you can collect while offline and not playing the game. Regarding the hierarchy of the upgrades you should be following, our best recommendation would be to prioritize Fuel Loss, as lower fuel loss stats (the more upgrades, the lower) will allow you to get more figurative bang for the buck, and more mileage out of your car. Fuel Tank should go next, as that allows you to hold more fuel. For the last two, you can choose either one of the monetary stats – it doesn’t matter much if you choose Rank Bonus or Offline Bonus ahead of the other, but if you’re the type who only plays the game a few times a day, you’re better off making Offline Bonus your third priority, and Rank Bonus as your fourth. 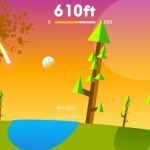 Donuts Drift is packed with opportunities for you to watch ad videos, and you should take advantage of them whenever you could. 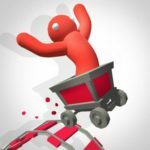 The most basic ad video opportunities are those where you can watch an ad to double your earnings after a run – we don’t want to push our luck and yours by telling you to watch ALL the videos, so we instead suggest that you watch them only after you’ve had an especially good run in terms of earnings. Of course, you’ll also want to watch an ad after you’ve collected your offline earnings, as more money means more upgrades for your car. But it’s not just earnings that can be positively impacted by watching advertisements. Sometimes, you will see an exclamation point on one of the four upgradeable stats – click on that stat and you can watch an ad to perform the upgrade for free! This could make a huge difference, especially if you’re already paying close to a thousand or more for upgrades. When talking about earning cash, the more accurate term may be grinding for more cash, as that’s what you will essentially be doing as you keep playing the game, regardless whether you actually do well or not. But there are a few other ways to earn cash aside from grinding it out with multiple runs, or collecting your offline earnings. These include the missions, which may ask you to do a certain number of perfect drifts, regular drifts, or whatnot – in other words, these are things you can complete by playing the game like you normally would, but it wouldn’t hurt to click on the leftmost button on the main menu, right below the game logo and beside the car logo. This shows you the list of missions, so you can refer to it at any time to know what exactly you need to achieve. You can then gear your next games toward accomplishing that mission, as that will earn you a bit of extra cash, and a whole lot of extra XP. At some points during your run, you may see a bill with a dollar on it – if you see that bill on your path, go ahead and drive over it, as that will give you a nice $100 bonus. That’s a Drift Banknote, and collecting one is a great way to quickly add to your earnings. Just don’t chase the Banknote at the expense of your gas, or at a chance of making a good drift! One mistake you may make early in Donuts Drift is the tendency to try to make every drift perfect. As we mentioned earlier, finding the right angle for your car, and the right point in the big circle to start creating a donut is not an exact science. While it does take impeccable timing and precision to get a perfect donut, chances are you’ll fail at “perfection” more often than not. With that in mind, it’s better to settle for good, or even ordinary donuts, just as long as you don’t make them too oblong-like, lest you waste too much fuel or drift on or beyond the dotted lines. That would mean hitting the left or right button depending on where your car is oriented, letting go to make a bit of a straight line while staying within the big circle, then hitting the same directional button to complete the donut, again while ensuring you don’t go on or beyond the dotted lines. It won’t be a perfect donut, but you’ll still get a fuel bonus anyway – just not as big as the bonus you get for making it perfect. If everything goes awry while trying to create your donut, you can either get your car back in a straight line and try again in the next big circle. Or you can just drive straight past everything else and try to break your maximum distance record – of course, you won’t be doing much drifting, much less donut-making, but at least if you go far enough, you could earn a good deal of points and cash (especially if you drive over those dollar signs), and get a cash/XP bonus as well for beating your high score, if applicable. You might even be lucky enough to find a Drift Banknote along the way! At some points in the run, you will have to cross a road where there are cars and trucks passing by in both lanes. The good news is that your run won’t end and your car won’t blow up if you bump into them. The bad news, unfortunately, is that they can throw you off by putting you in a poor position, and waste a good deal of gas as you try to get back into drifting/donut position! 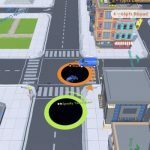 No, you won’t get any sort of bonus by hitting them – cars and trucks are mostly bad news in Donuts Drift, so avoid them as much as possible. Lastly, you may notice a category called “Boosts” whenever you review your final score at the end of a run. You won’t see this if you’ve just started playing and are trying to get the hang of the game’s mechanics, but as you’re able to last longer in your runs, you’ll reach a point where you’ll see any one of multiple icons showing up on the road. These include modest gas refills (the gas tank), point multipliers (x2, x3, etc. ), and magnets (draws all the cash surrounding the small circles), and as you can see, they can be very helpful along the way. But you shouldn’t go after a boost just because you see it – your drifting and donut creation always comes first, so don’t chase a boost if you’re low on gas or nearing a potentially good point to create a donut!